After a highly successful time as CFN Board Chair, Patrick Kelly has decided “to hang up the paddle” and move on. We wish him the best! Below is his note to the CFN Board, staff, program managers and communities. In March 2000 the First Nation Leaders and Chiefs of the central and north coast and Haida Gwaii came together and defined a bold vision for the long-term wellbeing of the people, the communities, and the lands and marine environments. They honoured the ancestral wisdom and teachings and wrapped each other in the blanket of generational leadership. Throughout the 18 and a half years that I have had the privilege to work with the Coastal First Nations, all the community representatives that served on the board of directors embraced the leadership challenges and responsibilities with courage, conviction and grace. Having facilitated the founding meeting, thereafter I served as the Board Chair. I also had the privilege to work with a small, in-house staff team and program managers that I must say have provided the organization and its communities with great gifts of their talent, dedication, partnership networks, and hard work. One need only look at the results to see how the combination of great board leadership and excellent staff produced many benefits for all the member communities. At the beginning, there was no organization, no office, no staff, no money, and no programs. Since its creation, the Coastal First Nations has transacted in excess of $600 million dollars, established a Coast Opportunity Fund, operates stewardship offices in every community, owns very successful and growing businesses, and is a strong and respected voice throughout the coastal region and beyond. 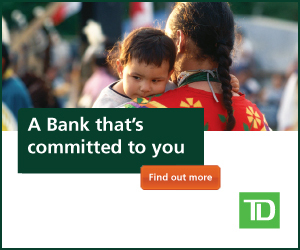 The Coastal First Nations is also blessed to have an extensive network of funding partners. The Governments of Canada and British Columbia, and non-governmental funders have worked hand-in-hand with the organization and its member communities to produce some strong environmental, economic and community well-being results. Much good works remains ahead to build on the successes already achieved. Many see the Coastal First Nations collaboration as a durable model that supports and enables the achievement of coastal regional interests and benefits. I have decided it is time to hang up the paddle and focus on other interests. It has been a great honour and a privilege to work with the Coastal First Nations. I am most grateful to the Board of Directors and staff, present and past, for all that you have provided me in our time together. I wish you all the best for continued success.